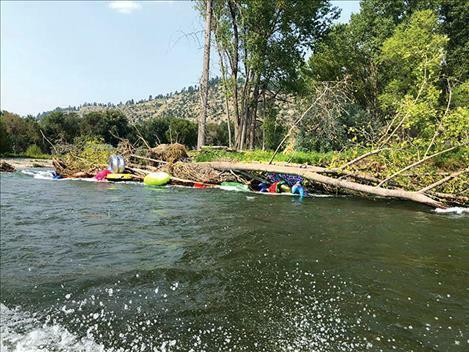 COLUMBUS – The Stillwater County Search and Rescue successfully rescued all 22 members of the Rocky Mountain College women’s soccer team after becoming stranded on the Yellowstone River while on a float trip near Columbus on Monday, Aug. 13. 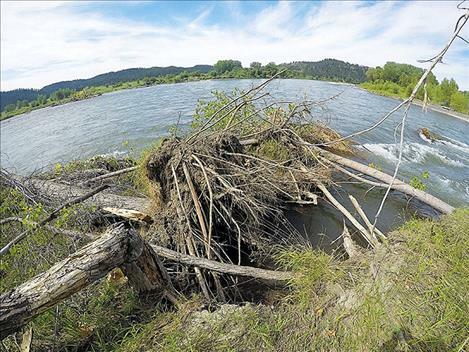 Former Polson Lady Pirate stand-out soccer player Tiara Duford was among those rescued. The team put in at the Holmgren Fishing Access point around noon. For an hour and a half the squad enjoyed a leisurely afternoon before things became extremely dicey. 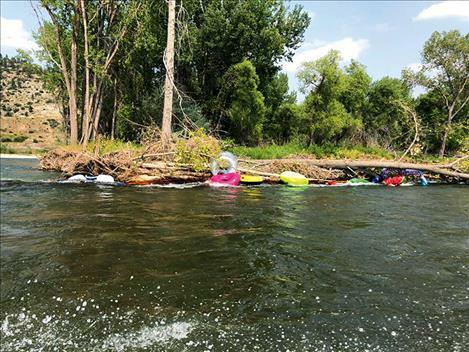 The swollen river’s current pushed the team’s tethered inner tubes right into a clump of partially submerged trees causing the tubes to become entangled and many to burst by the branches. According to Stillwater County dispatch, one of the players had a cell phone with service and was able to tell dispatchers their exact location. The rescue took about an hour and a half, while Stillwater County Search and Rescue and Columbus Fire and Rescue used a pair of boats to ferry the girls back to safety. Stillwater County Sheriff’s Office and Columbus Ambulance also responded to the scene. None of the players suffered any injuries requiring medical attention.